I would be very grateful if you could help me clarify - I used to use a software program for recording vinyl mixes on my old Macbook called - Audacity. Recently I've replaced this old Mac with a new Macbook Pro which does not have a phono jack, "line in” port, only a USB port and the same software does not pick up the sound any more, from my vinyl mixes. Do you know a way to get my new Mac to accept the sound from the original phono outputs of the same mixer to the new USB port? I've already bought the generic cable and can't get it to recognise the new USB port as an official input. Your guidance is greatly appreciated, as there is no current USB input availabilty option within the generic Mac settings - under "sound" settings. This basically means I can not work out how to accept input, via USB & I can not record, until I solve this problem? You just need a quality digital audio interface for your Mac. 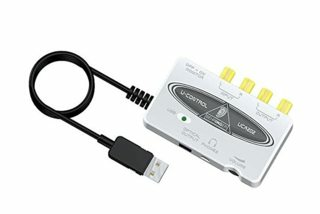 The one I personally use and have had great success with has been the Behringer UCA202 Audio Interface This installs with no drivers required El Capitan recognizes it as a USB audio input/output device. I have used it with just the System audio as well as with Audacity and it works flawlessly. To record audio from analogue audio equipment, you're going to need to buy a little audio interface that plugs into the USB port of you Macbook. Here is a sampling of interfaces that should do the trick. Not all of them are cheap, but if you use it a lot, it's a good investment. 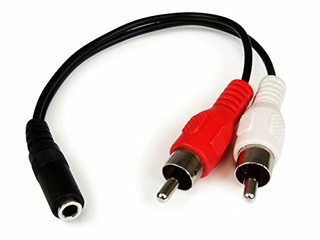 If you get one, you can plug your mixer into it using standard audio cables. Not the answer you're looking for? Browse other questions tagged macbook usb recording . How do I fix very quiet audio input on a MBP 2016?